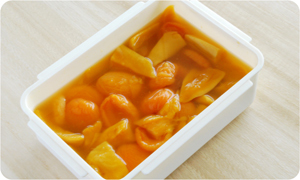 Put the dried apricots and mango in a bowl with 600ml water, wrap and leave to soak in the fridge for two nights. 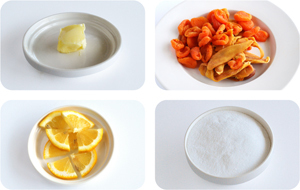 Make sure to use dried fruit that isn't coated with oil. 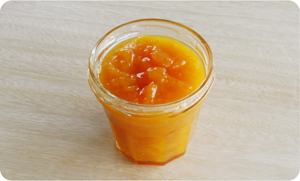 Put the apricots and mango which have been resting in the fridge for two nights into a saucepan with the water. 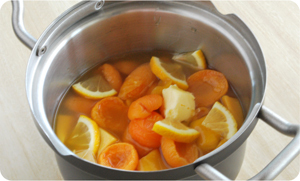 Add the sugar, butter and lemon (with the rind still on) and stir over a low heat. 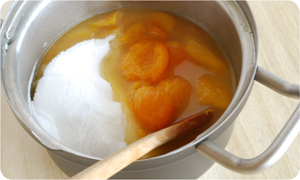 When the sugar is dissolved and the jam is starting to bubble, simmer on a low heat for 20 to 30 minutes. Keep stirring to make sure it doesn't burn.